Below is everything you would like to know about soil and plants and the nutrients needed to have the healthiest outcomes. Each section contains the information found in our popular handbook, “Boots in the Dirt - A Field Guide to Experienced-Based Agronomy”. Read. Learn. Ask us questions! 80% of the plant is water. When you remove the moisture from a plant, what is left is dry matter or what the processors call solids. Of that dry matter, 97% is carbon, oxygen, hydrogen, and nitrogen. The mineral portion of the plant actually makes up a very small portion, only 3%. The majority of the plant on a dry matter basis is CARBON, OXYGEN, HYDROGEN, and NITROGEN. These four elements are present in the air we breathe. They make up the majority of a plant’s dry weight. As farmers, managers, and producers it is these elements which should be of our utmost concern. These elements are the building blocks to quality production. 80% of the plant is water (H2O). 97% of the dry weight of the plant is made from carbon, oxygen, hydrogen, and nitrogen. All of these elements are FREE and of the air. If soil testing only tells us 3% of what makes up a plant, then what tools do we have to accurately measure the rest? °BRIX is a measure of the soluble compounds in a solution. By measuring the soluble compounds in the plant sap we are measuring the sugar content (C6H12O6) in the plant. We can test for °BRIX in the field, non-destructively. A plant functioning at its genetic potential will have high °BRIX. Often you can predict potential problems by measuring °BRIX before they develop into yield losses or drag. 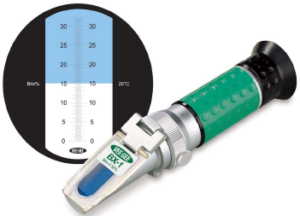 When measuring plant quality with the °BRIX refractometer, sampling is quite easy. You can measure any part of the plant by squeezing plant sap onto the refractometer and looking at the sample’s refractive index (where the blue line stops). As the °BRIX of the plant sap increases, the immunity of the plant increases. Nutrient density, carbon content, and quality have all been directly correlated with °BRIX. When your crop is low in carbon, oxygen, hydrogen, and nitrogen your plant is open to disease, stress, and insects. °BRIX is a measure of the plants health and quality. °BRIX measures the plants carbon, oxygen, and hydrogen level in the plant sap or “blood” of the plant. °BRIX readings should be taken on a sunny day between 11:00 am and 4:00 pm, when the sugar is highest in the leaf tissue. °BRIX readings in the morning, or first light will be at the lowest level in the leaf tissue. Variations in the °BRIX between morning and night indicate problems with energy and mineral absorption. The °BRIX should drop 1-2 °BRIX at night. If °BRIX drops more than 1-2 °BRIX, there may be a possible problem with the plant roots. Dehydrated plants will have a higher °BRIX. °BRIX readings are dependent upon temperature. The stage of plant maturity will influence °BRIX. °BRIX is highly sensitive to environmental stress and changes. °BRIX is influenced by genetic and management factors. It is important to be consistent when sampling. The visible line which separates the blue and white portions of the screen can be an indicator of mineral density. The goal is a fuzzy line. Sample the plant when the sun is shining, during the middle of the day. Check for °BRIX immediately after sampling. Check at night or at first light to determine sugar movement. Low °BRIX is the leading cause of death in a stressed plant. Plants with low °BRIX will be unable to support the proliferation of soil microorganisms along with its own growth, maintenance, and reproduction. The plant will experience resource trade-offs. Yield and quality often suffers. As soil managers and stewards of the land, prevention of low °BRIX is vital in producing quality production and healthy plants. If the BRIX refractometer can measure the quality and health of the plant, how can we measure the health and biological activity of the soil? Soil testing is limited in its ability to monitor the health and biological activity of the soil. A highly biologically active, mineralized, healthy soil will maintain a consistent electrical current. It is this current which drives plant growth. The interactions between minerals and microbes in the soil contribute to the current of the soil. The electrical conductivity of the soil measures the current in the soil. This tool gives us instantaneous field results into the health and biological activity of the soil. You cannot build high °BRIX with low EC. 90% of all soil and plant problems are due to the electrical conductivity being either too HIGH or too LOW. 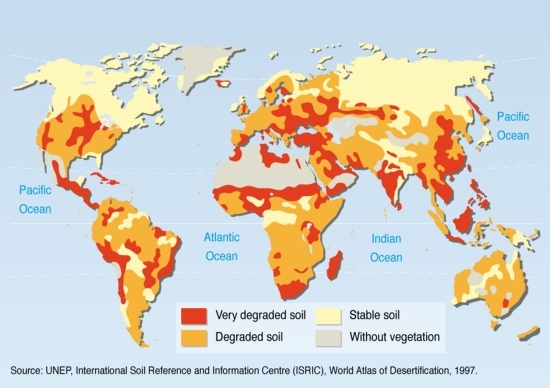 Well fed soil microbes will rapidly reproduce, grow, eat, breathe, and die. During a microbe’s life cycle, solutes and ions are released into the root zone of the soil (rhizosphere). The life and death of soil microbes is a major contributor to the electrical current of the soil and drives plant growth. By measuring EC you are measuring the biological activity of the soil. When biological activity is low, plant growth suffers. Many of the common products in industrial agriculture will have an inactive salt component. Upon application, each one of these products adds salt to the soil and temporarily increase the EC. When the energy is used up, the EC drops and the °BRIX drops. During the course of a growing season, these systems will experience many ups and downs in EC. This is not sustainable. When the EC drops, disease and insect pressure often sets in. Quality will never be achieved. As soil managers our influence can either be positive or negative. You can monitor your success and make accurate soil input recommendations based on soil electrical conductivity or you can ride the highs and lows of chemical farming. For optimal biological activity your soil’s EC should be maintained throughout the season in the listed ranges. Electrical conductivity is measured in ERGS (Energy Released Per Gram Per Second). Nature intends this electrical conductivity to be created and controlled by soil microorganisms. If your goal is high °BRIX and high yield, your main focus should be keeping your microbes well fed. In our heavy cropping systems we demand a lot of our crops. Most crops cannot support our demands as well as the soil microbes. Soil microbes feed off of the carbon from the root exudates creating a network of electrical energy throughout the soil. A plant low in °BRIX or low in carbon will have soil microbes which are starving. By monitoring your EC you can determine the activity of your microbes and whether or not your crop can support their growth. Feeding the soil with carbon based fertilizers high in available calcium, phosphorus, micronutrients and amino acids will supply your microbes the balanced nutrition necessary for prolific growth and reproduction, keeping the spark alive. By monitoring your soil’s EC you can accurately calculate when, where and how much soil nutrition you need to apply. Don’t guess, test. When checking your soil’s electrical conductivity you must be within the root zone. Throughout the root zone different bacterial communities exist based on the type of root exudate. A diversity of microbial communities means there may be a slight range of EC’s. Soil Air - "Air Within the Soil"
Feeding microbes is only half of their survival. Beneficial soil microbes require air to breath. No different than humans, these tiny creatures need air to survive. The air we breathe, however, is different than the air in the soil. While both contain nitrogen, oxygen, argon and other gases, soil air contains approximately a hundred times as much carbon dioxide as atmospheric air. The high concentration of carbon dioxide is necessary for plant production. 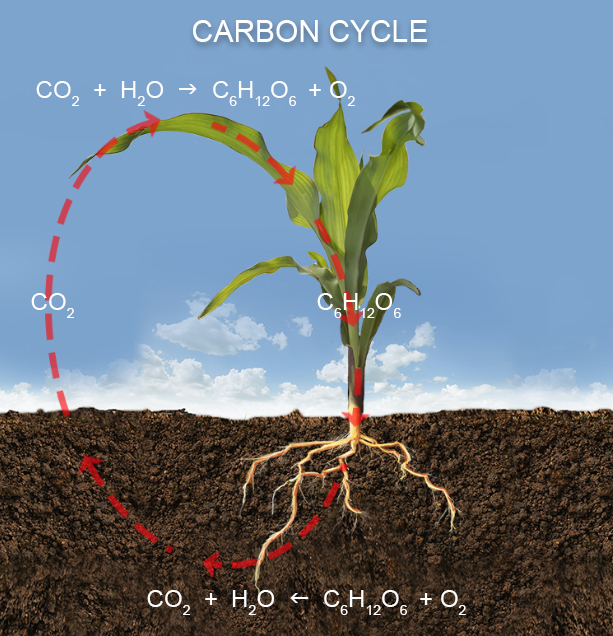 The higher concentration of carbon dioxide comes from the soil microbial respiration. Soil air containing one hundred times more carbon dioxide than atmospheric air is a testament to just how many soil microbes exist in a “healthy” soil. A healthy soil will have a deep aerobic zone, ample biological activity, and diverse carbon forms “food”. This is the soil environment necessary to grow high quality high °BRIX crops. Soil air contains one hundred times more carbon dioxide (CO2) than the atmosphere. Soil microbes breathe oxygen and release carbon dioxide. 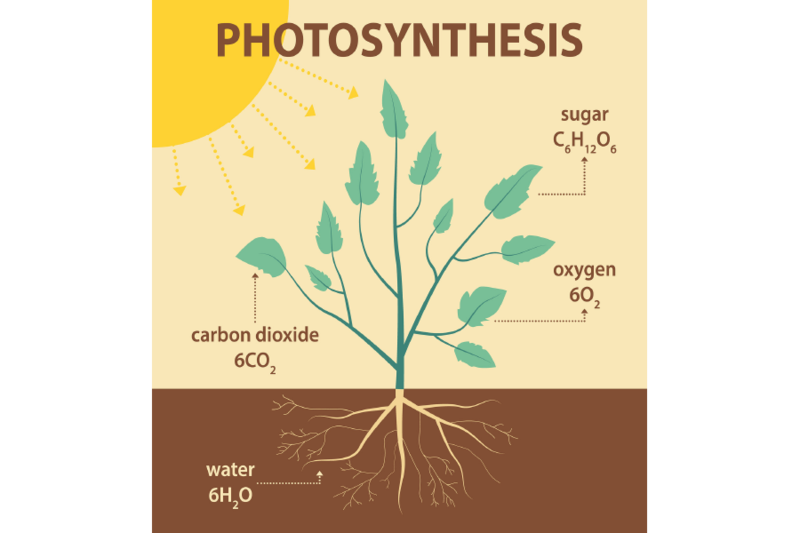 This is the reverse of photosynthesis and an important part of the global carbon cycle. Measuring your soil structure and pore space can be the first step in understanding your soil mineral ratios, aerobic zone, and the effects of your agriculture inputs. If your soil inputs do not increase the aerobic zone of your soil they should not be used. Monitor your soil’s structure by measuring your aerobi c zone and focus your soil management on building the deepest aerobic zone possible. The penetrometer is one of the most expensive tools in our soil management tool bag, coming in at just under 300 dollars, however it is irreplaceable. The use of a penetrometer is a wonderful tool to measure the depth of your aerobic zone. 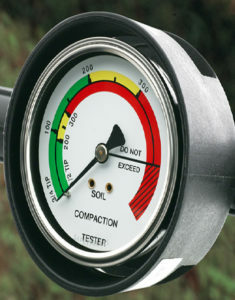 The penetrometer is essentially measuring the pounds per square inch (PSI) of pressure in the soil. The depth of the soil’s aerobic zone correlates to the PSI of the soil. The depth of the aerobic zone is no more than 300 PSI. Plant feeder roots feed in the aerobic zone of the soil, less than 300 psi. Feeder roots can not penetrate more than 300 psi. The aerobic zone is no more than 300 psi. If your soil inputs do not increase the aerobic zone, you should ask yourself why are you using them? The soil’s structure greatly influences the amount of air in the soil. In soil there exists pore space. The larger the pore space the more particles, solutes and air can pass through. A tight soil with very small pore spaces restricts the amount of air in the soil. Poorly structured soil will have a small aerobic zone and is a poor environment for microbes. Soil microbes need a deep aerobic zone to survive, thrive, and store nutrients. A soil’s aerobic zone can be changed based on the ratio of minerals in the soil and their electrical charge. Based on the ratio of soil minerals, the soil will either be compacted or flocculated. Flocculated soil is healthy soil and provides the soil environment necessary for the proliferation of soil microbes. Soil pore space is the “home” for soil microbes. All of our inputs effect the soil’s pore space. Some inputs are beneficial and others detrimental. Flocculated soil with ample pore space full of solutes, microbes, and air is characterized by soil high in available calcium. Due to the size of the hydrated radius (small) and charge (2+) calcium is held tighter to the soil colloid over other cations. When available calcium fills the soil colloid, the soil environment is electrically strong. The soil colloids will not disperse when saturated they will aggregate or clump together. By clumping together, the soil’s pore space increases and the aerobic zone increases. The soil will be flocculated and possess a good “crumb”. The soil will be teaming with microbial activity and have a high degree of carbon storage. The soil will be spongy with good tilth. Water will not run, it will infiltrate the soil. This soil type is healthy, productive, and ready to produce high °BRIX crops. Soils with excess sodium, potassium and magnesium will not be flocculated. These minerals all have large hydrated radius’ and are weakly charged. When these minerals fill the colloid, the colloid swells. Under saturated conditions, these colloids will have a weak electrical charge and be easily dispersed (erode). These colloids will fill in all of the pore space in the soil, creating compaction and shrinking the aerobic zone of the soil. Creating and maintaining a well structured deep aerobic zone is only half of the biological environment. As we previously mentioned, soil microbes feed off of the carbon compounds excreted from the plants roots. This creates our electrical current. If the carbon level of the plant (°BRIX) is low, the plant cannot support the proliferation of soil microbes. Feeding your soil microbes carbon inputs can support the growth of soil microbes when the plant cannot. Carbon, however, is as diverse as the soil microbes we are trying to maintain. There are short chained carbons (sugar) and long chained carbons (humates, humic acids). If we are to support a diverse soil microbial population we must feed diverse carbon sources. The best inputs are high in carbon, low in salt, plant available and water soluble. These inputs are managed easily and can improve your fertilizer use efficiency over dry products. If you monitor your soil’s EC and °BRIX levels, feeding only when you need, you will be able to manage the life cycle of your soil microbes and maintain a consistent electrical conductivity. Diverse carbon inputs are needed for the growth of your soil microbes. Many blame tillage practices on the destruction of carbon from our soils. In 2002, a study completed by South Dakota State University compared no-till verses conservation tillage programs. The researchers found no significant difference in the carbon loss between the two systems. Many no-till proponents cast blame, stating that tillage is the main culprit in carbon oxidation. However, their results suggested that tillage has only a small impact on carbon loss (PIKUL 2002). The over use of chemical herbicides, pesticides, insecticides, and salt based nitrogens have done far more harm to the destruction of carbon from our soils than tillage. 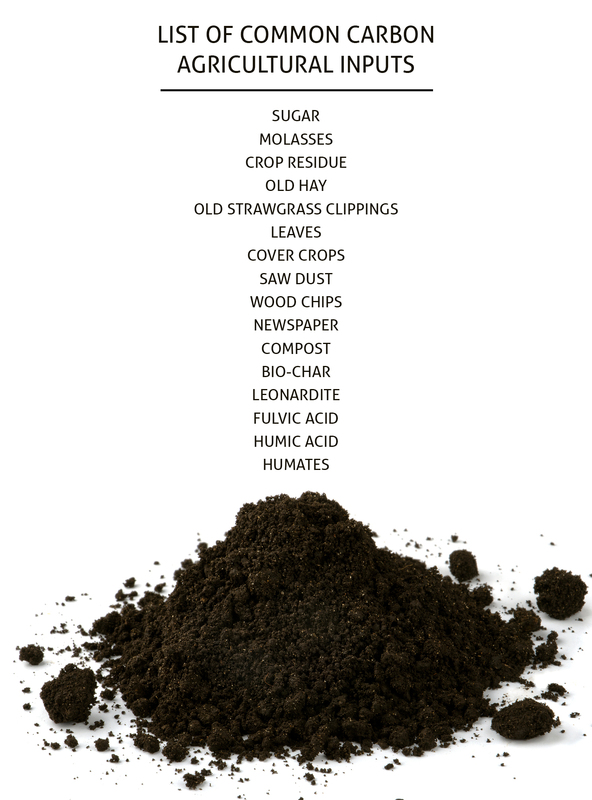 These products are a major oxidizer of carbon from the soil. The chemical eroding of the soil that we are currently experiencing has the potential to be worse than the dust bowl. The chemical eroding of our soil’s carbon has left our microbes starving, our soil dry, compacted, and void of sustainability. Tillage needs to be managed and the overuse of chemicals need to be controlled. You should only till your soil 1″ below the aerobic zone. In perennial systems, we recommend vertical tillage. Whether it is corn, bean, sunflower, small grain, or any other crop residue it is not soil carbon until it is broken down by soil microbes. Crop residues are to be incorporated into the soil after harvest. Once incorporated these residues are food for soil microbes. This ONLY occurs in soils with healthy microbial populations. Spraying a desiccate on the crop to increase dry down will inhibit the breakdown of the crop residue. Crop residue, when managed poorly can be the cause of many soil problems. No-till soils MUST have a DEEP aerobic zone (10”-12”) and be very biologically activate for the crop residue on the surface to be broken down by microbes. As the crop residue left on the surface oxidizes potash (potassium) is left on the surface. These no-till soils are often out of proper ratio (Ca > P > K > Mg > S) and experience intense weed pressure. Often the manager will be forced into using chemical herbicides to treat the out of control weed pressure. Further contributing to the compaction and lack of microbial activity. These soil’s would highly benefit from the incorporation of the crop residue and a program promoting balance in their soil mineral ratios. 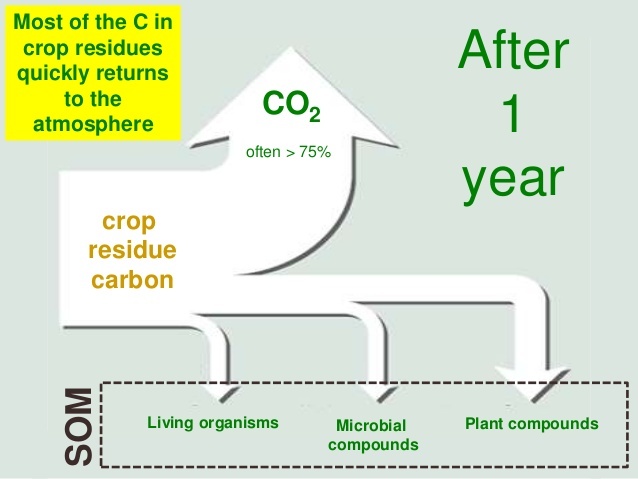 Crop residue is NOT soil carbon until it is broken down by soil microbes. GMO residue resists decay and has minimal contribution to soil carbon. The structure of the soil and biological activity greatly influences the storage of soil organic matter (SOM). Once crop residues are broken down they become soil organic matter. Soil’s lacking in pore spaces are unable to provide the space necessary to house soil organic matter. The crop residues in compacted soils will ferment, pickle, and not decompose. Mineral ratio balancing and building a deep aerobic zone promotes the storage of soil organic matter. 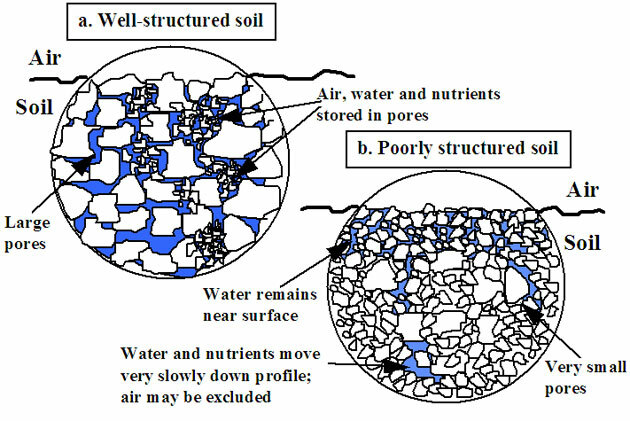 Pore spaces allow for once broken down crop residues to remain in the soil for storage where they will act as a long term food source of soil microbes. It is these complex high molecular weight, long chained carbons that resist decomposition and build humus (plant food). Increasing the soil organic matter is dependent on more than just the crop residue. Soil structure, biological activity, and electrical conductivity all influence the storage of soil organic matter and building humus. Testing for soil organic matter (SOM) is not the same as testing for soil organic carbon. SOM needs to be broken down by microbes to be soil organic carbon (humus or plant food). Soil testing for SOM is only useful if you have biologically active soil. Beneficial soil fungi can form a synergistic relationship with the plant. Certain species of fungi (arbuscular mycorrhizal) have proven to be an important component of the soil plant system. These species not only increase the size and depth of the plant roots, they also excrete carbon into the soil. More specifically they excrete a compound called glomalin. Glomalin, a polysaccharide (many carbons), acts as a lubricant during the growth of fungal hyphae. The fungi feeds off of carbon from the plant sap. As the fungi grows, it solubilizes minerals making them plant available. The glomalin is then sloughed off the hyphae and acts as a “glue” assisting in soil aggregation. 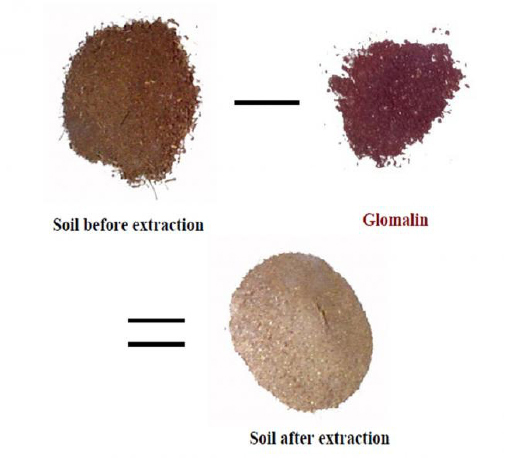 Along with mineral ratio balancing, glomalin can further enhance the structure of the soil. It has been found that along with these structuring characteristics, this form of microbial derived organic matter is the foundation for building humus and the dominate form of soil carbon. Glomalin is only built when the plant has enough carbon, °BRIX, to support fungal growth. Beneficial fungi thrive in a high carbon environment. C:N ratio 24:1. It takes the proper soil mineral ratio balancing, biological activity, and electrically available nutrition to build high quality forages and feeds. Conversion, gain, milk production, reproductive efficiency, profitability, and meat quality all improve when feeding high quality forages and feed. We have outlined how to produce these forages and feed. Start with a soil environment suitable for the proliferation of soil microbes. An aerobic zone 10” - 12” in depth with thirty times more carbon than nitrogen. 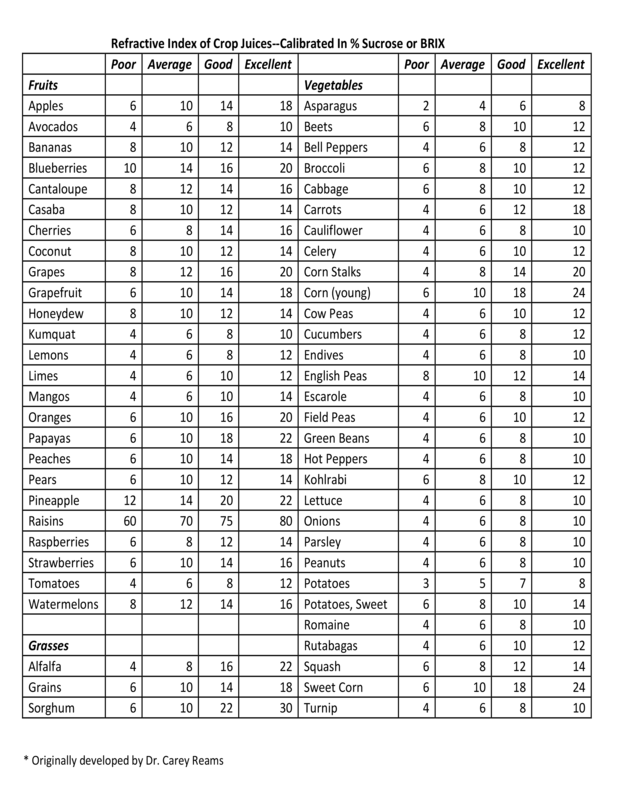 Balance your soil mineral ratios. Monitor and maintain electrical conductivity by focusing your management on proper nutrition. Build the soil, feed the soil and let it feed the plant. High quality, nutrient dense, high °BRIX forage and feed has the potential to elicit some very desirable animal responses. These responses reduce your input costs and keep money in your pocket. Healthy soil can produce high quality forage. High quality forage feeds healthy, productive livestock. The first indicator of quality forage is palatability. Grazing patterns often will indicate where the highest quality forage is located. Animals will always choose higher °BRIX forages when given the opportunity. These areas of high °BRIX forages will have softer more supple leaves, typically 2-5 times larger than lower quality leaves. The stems will be 1-3 times smaller, stronger, and have a higher digestibility. The stem will be lower in hemicellulose, cellulose, and acid detergent fiber (ADF). Moisture content will be reduced and the soluble sugars will increase. Overall the leaf to stem ratio will be higher. When soils express imbalanced mineral ratios, for example, more potassium than phosphorus or less carbon than nitrogen, a very watery washy plant will be produced. This is indicated by a hollow stem, low °BRIX, and a low mineral content. The stem will be comprised primarily of hemicellulose, cellulose, and the excess nitrates will form poorly digestible lignin. Force feeding the plant nitrogen and potassium, reduces the °BRIX of the plant. The nitrogen will force the plant to grow and the potassium will fill the cellular tissues full of water diluting the sugar content of the sap. These forages have a slow dry down and very low palatability and digestibility. To perform well an animal must consume adequate quantities of forage or feed. An animal’s performance can be directly related to the quality of the forage or feed. The key word here is performance not size. Livestock will eat based on a nutritional basis. Hunger will prevail until nutritional satisfaction is obtained. Hunger is not controlled by just one part of the body. Interactions between the stomach, intestines, pancreases, liver, kidneys, and bloodstream all contribute to the signal in the brain which tells us we are hungry. Low quality forages or feed will not contain the minerals needed to satisfy all of the physiological functions in the human and animal body. Never satisfied these animals will consume more feed in an effort to satiate the mineral needs. Hunger is often a signal of mineral deficiency and poor quality food. As we increase the °BRIX in our food the intake quantity decreases. Giving no regard to quantity, hunger will prevail until nutritional satisfaction is obtained. Quality is more important than “organic” or “non-GMO”. Animal performance is the ultimate test of forage quality. As your feed quality improves your free choice minerals will be reduced. Free choice minerals should always be present and can be used as a guide to determine the quality of your feed. As the quality of your feed increases start backing down on force feeding minerals. If your animals are not touching the free choice minerals, then reduce your force feeding. As the quality of your feed increases your force feeding can be eliminated and you will only need free choice minerals. Livestock will always need a free choice mineral. However, the higher the quality of feed the less free choice intake needed. Signs of poor quality food, forage, and feed is often expressed in odd animal performance. Cribbing in horses, is a performance indicator of mineral deficiency. Domestic animals consuming dirt, soil, or manure is another indicator of mineral deficiency and poor quality feed. Animal performance and their health is the proof that high quality forages can heal. Consuming nutrient dense high °BRIX food allows the consumer the best chance at reaching their highest level of performance. If a female doesn’t clean after birth a possible phosphorus deficiency may be present. Animals will try to hold on to the placenta after birth if mineral deficient in an effort to pull phosphorus from the placenta. Dry cracked hooves are a sign of copper deficiency. The mineral copper is responsible for cellular elasticity. Koppertox is a common treatment for dry cracked hooves. It is simply copper. Foot rot in the back hooves of an animal is a zinc, iodine, and copper deficiency. Zinc has to be in the diet and iodine is the treatment. Foot rot typically starts on the back hooves. Due to direction of blood flow in the circulatory system of the animal, the back hooves express deficiencies first. 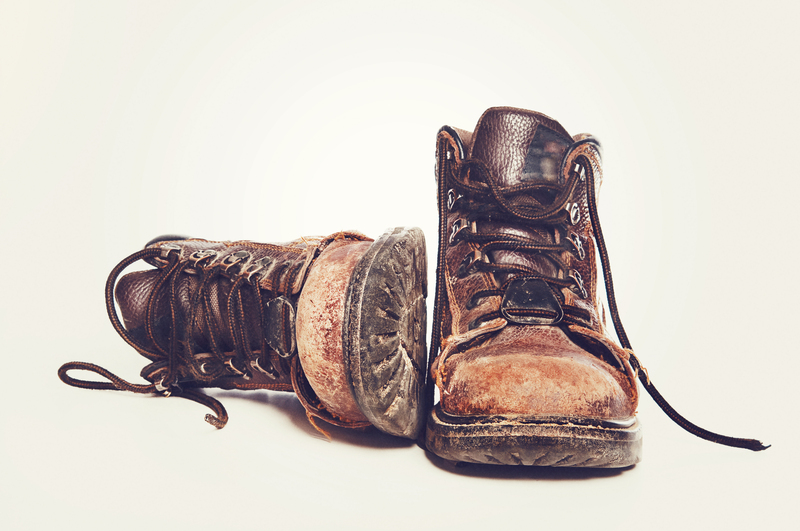 Animals fed a genetically modified (GMO) diet are increasingly prone to foot rot. Genetically modified feed and forages are commonly nutrient poor and low in copper, iron, zinc, manganese, and phosphorus. Most of the mineral is pulled from the blood by the time it reaches the back hooves. 1. In bigger animals, their walk will be very stiff in the front legs with less flow and grace. 2. They are prone to quick pneumonia (B complex deficiency). A dead animal will be your first sign. Blood will be coming out of the nose or mouth. Upon autopsy, the animal will have big red baseball size hard blood clots in the lungs. 3. The animals head will be elevated and cocked off to the side. The animal will look as if it is impaired from too much alcohol consumption. There will be a loss of equilibrium. A white dot on the eye in the winter is typically a vitamin A deficiency. Vitamin D and E may also be deficient. Grass tetany in cattle occurs in the early spring with the first flush of grass. This is a common reaction to low °BRIX forages. The traditional fix is to feed magnesium. Magnesium will slow down the digestive tract of the animal allowing more nutrients to be removed from poor quality grass. Clear snot in an animal indicates a viral infection. The animal’s temperature will be 99° - 101°. Antibiotics will not work. This may be the beginning of a more serious issue. Cloudy white or green mucus indicates a bacterial infection. The temperature will be higher 103° - 106°. The healthy human body temperature is 98.6°. If you stick your finger at the tail head of the animal and it is warmer than your finger, your animal most often will have a fever. Chronic lung indicates a sulfur deficiency. Free choice a yellow sulfur block. If the animal is not producing or the feed quality is poor, free choice a blue cobalt block. Cobalt will stimulate the microbial activity of the animal, similar to a prebiotic for humans. A red tint on a black cow indicates a copper deficiency. The coloring will be more predominant on the right side. During skeletal development the mineral needs of an animal are higher. In hogs, minerals are in the highest demand during growth up to 130-150 pounds. 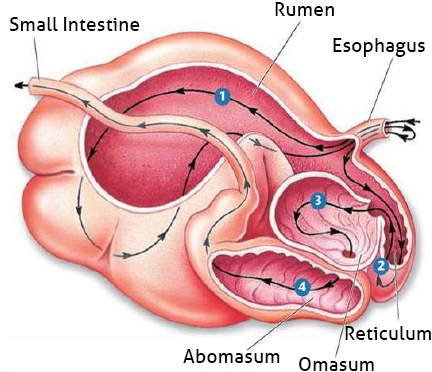 In cattle, skeletal development stops between 750-900 pounds. Meat development requires less minerals and minerals are often reduced. For award winning meat, mineral nutrients need to be available throughout meat development. In large livestock operations, they will reduce or stop feeding mineral the last 10-50 days of the animal’s life cycle as meat quality is not as important. Which in turn, often leads to poor quality meat for human consumption. The perfect cow pie should be 1-2” high, 6-8” across, and the last drop should make a divot with the consistency of pancake batter. If the cow pie is wider than 6-8” across, the animal is consuming more protein than needed. The urine of the animal will also be foamy. If the cow pie is taller than 1-2”, the animal is consuming excess fiber. For every 300 lbs of body weight, expect 10 lbs of feces. As the °BRIX increase in the feed, you will have 30-50% less manure with less of an ammonia smell. Manure with high ammoniated nitrogen indicates poor digestibility and possibly too much protein in the diet. Not only will high °BRIX hay and forages improve your animals performance and intake, it will make harvesting easier. Poor quality low °BRIX forages will experience up to 50-60% shrinkage due to the high water content and excess potassium. High °BRIX forage and hay will experience less shrinkage due to a lower moisture content and a higher carbon content. The higher the carbon content the more nutrients which can be retained in the plant tissue. A higher °BRIX forage will take longer to oxidize nutrients and the chlorophyll color will be retained longer. High °BRIX forages give you more resiliency during curing. A poor quality forage often will be ruined if it is rained on during curing. As the °BRIX increase the curing time will decrease. As the °BRIX increase, harvesting and storing becomes easier. During curing, high °BRIX hay and forages are less susceptible to weather. Human and animal performance ultimately comes down to nutrition. 80% of all sick domestic animals could be healed with good nutrition. High quality forage and crops start when the plant is at least 10 °BRIX or 10% sugar. Sugar is the universal energy source. It is the fuel for all life. Your input choices and management decisions will produce two results. They will either support the continuation of life, or they will result in death. If you strive to support the continuation of life, life cannot and will not run without sugar (carbon). The currency of quality is carbon, oxygen, and hydrogen. This is the plant-soil-atmosphere system or the agricultural system. It is the foundation of food and our food systems. The changes which need to be made in our food systems, begin with these three elements. Sugar (carbon, oxygen, and hydrogen) is the currency of quality and beginning of nutrient dense high quality agriculture.